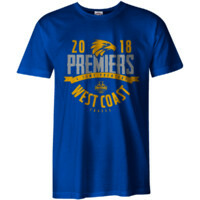 Remember every member of the Grand Final Team! 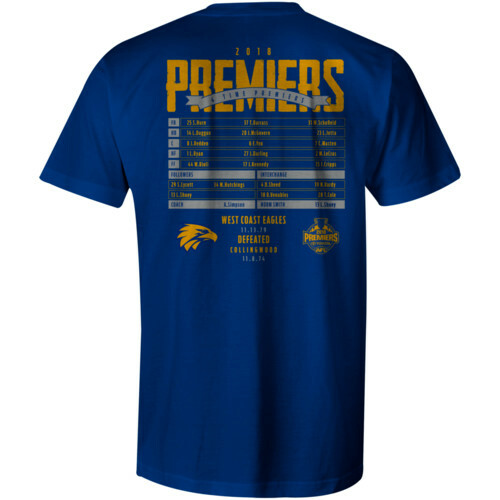 The Eagles took out one of the greatest Grand Finals of all time, and you'll be able to remember all the players of that history making team with a 2018 Premiers Line Up T-Shirt. 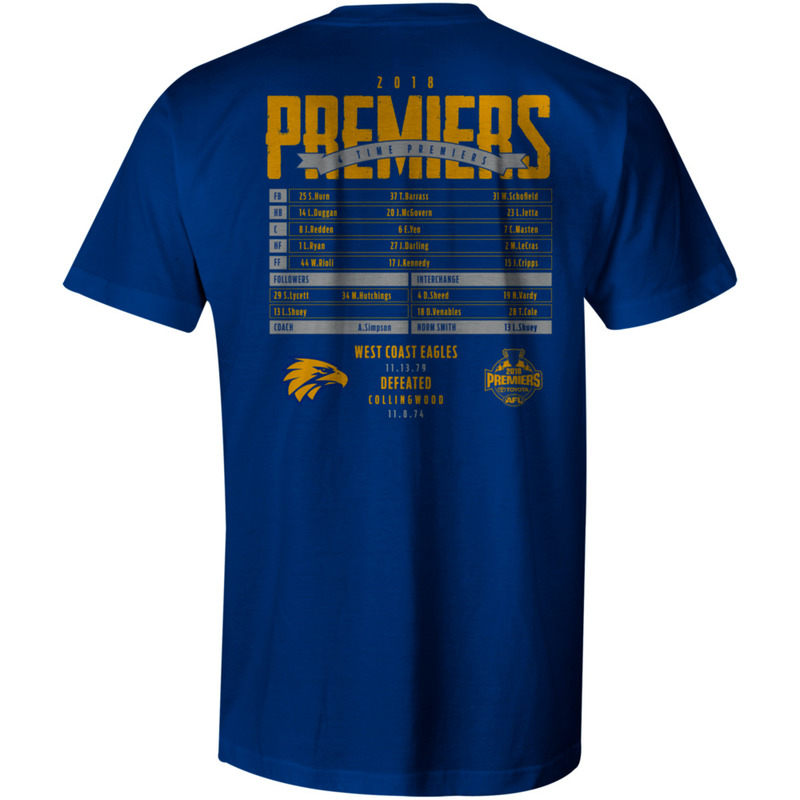 The front of this blue cotton polyester shirt features the Eagles and premiership logos, but on the back is the team's line up showcasing all 22 premiership players. 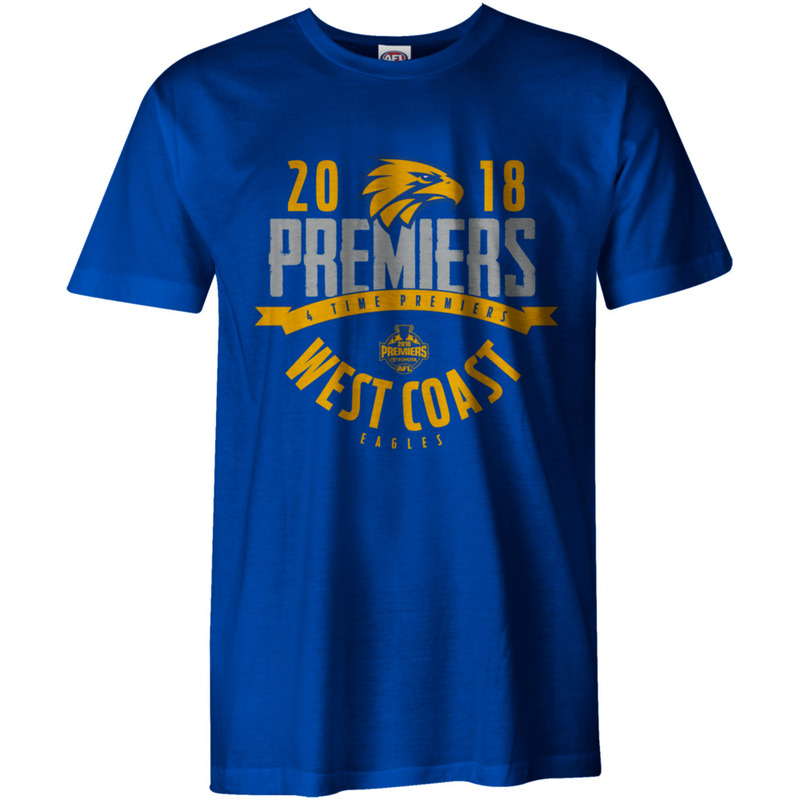 So relive those great memories and remember those grand final heroes with this great 2018 Premiers T-Shirt!